(Update 10/26) Due to personal reasons, i’m left with a day (or half) in a week for translating, thus the translation kept getting delayed. This will persists for the next few months. I deeply apologize for this. A few days later, inside a small stone house in Nie Manor. Lin Hao, whose torso was bare, was covered in sweat. The current him was akin to a cooked lobster. His whole body was flushed,and white smoke was billowing out of him. The fighter blood near his heart was throbbing continuously as it carried his blood to attack the Lung Meridian inside his body. Along with the opening of each acupoint, Lin Hao’s complexion became more and more paler. However, beneath his pale complexion, his qi and blood seemed to be become rosier and more vigorous. The Lung Meridian is the first primary meridian in human body and an extremely important one at that. Once it was connected, it would enable one to break through from the mortal stage. Even if one doesn’t breathe, one could still sustain one’s own life for an hour. It also marks the first real step into the path of cultivation. If condensed fighter blood was a ticket, then this meridian would be the first door. Once it was opened, it meant that one had really stepped into the first layer of Condensed Fighter Blood stage! At this time, the courtyard’s door was suddenly opened! Outside the manor, Nie Zhan, Lin Yi, Shi Dashan and the others entered the courtyard. Shi Dashan, who was nodding and bowing1, was explaining and apologizing continuously. Going by his attitude, if someone had really blocked him, he might have had really fight it out with the other party. As for Nie Zhan, there weren’t any serious injuries on him, except for some bruises. He even remained as straight as ramrod when he was walking, giving off a steady feeling. “Uncle Nie, don’t believe this guy. He was preventing me from rescuing you just now!” Fatty said indignantly while pointing at Shi Dashan. Hearing those words, Shi Dashan waved his hand, as if chasing away flies, trying to chase Fatty away. At this moment, Nie Zhan suddenly knitted and snapped. Shi Dashan gaped in shock. Those who came along with him were dumbfounded as well..
“Haha, did you hear that? Uncle Nie asked you to scram!” Fatty laughed complacently. Shi Dashan still kept his sight on Nie Zhan. Seeing that Nie Zhan didn’t refute Fatty’s word, his complexion became ugly. Those who followed him felt awkward too. After waiting for a few seconds, Shi Dashan eventually couldn’t stand there any longer. He then lowered his head and spoke in a deferential tone before leading away those who came along with him. Even when they left, he still kept his respectful attitude and didn’t dare to utter a single harsh word. Seeing this scene, Fatty found it laughable. Just as he had gotten to know that Nie Zhan was buried in the mine, he had rushed there and worked throughout the night using shovel, hoe, or similar tools to dig the mine, hoping to rescue Nie Zhan. However, on the second day, god knows from where had Shi Dashan obtained the news and actually came to obstruct him! 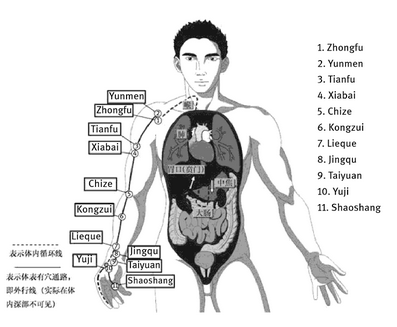 One had to know that Nie Zhan had once reached the fifth layer of Condensed Fighter Blood stage and had cleared the Small Intestine Meridian. His hearing ability far surpassed ordinary people. Even if his fighter blood wasn’t there anymore, his hearing ability was still much stronger than those at outside. Although his body was inside the cave, he could hear clearly each and every movement outside the cave. These people had obstructed the others from rescuing those who were trapped. But seeing the rescued person was Nie Zhan, their attitude changed completely. If Nie Zhan treated them well, that would be weird. That was what Fatty thought. But at this moment, Nie Zhan suddenly landed his sight on a few huge millstones in his courtyard and halted his steps. Fatty nodded his head. During the way here, he had secretly told Nie Zhan the matters about Lin Hao. However, he wasn’t able to go into details because Shi Dashan and the others were present. Fatty complied while bobbing his head and went to close the door. Who knew that just when he came back in and hadn’t even managed to say anything, he would be ‘expelled’ by Nie Zhan. “I got it” Nie Zhan replied. Hearing his reply, Fatty nodded his head. Then, he glanced at the few houses, hoping to catch a glimpse of Lin Hao. However, he still endured it and left the Nie Manor. He wasn’t sure how far Shi Dashan and his gang had gone. Even if they had gone far, he wasn’t sure whether there were any scouts here. Second Uncle was into hiding currently so there mustn’t be any traces left that might expose him. At this time, Lin Hao finally managed to clear the last acupoint. As the Lung Meridian was no longer obstructed, like a river whose dam had just been broken, his fighter blood flooded his meridian, making his complexion to turn rosy again. He took a deep breath and opened his eyes, which were shining brightly. He actually didn’t manage to repress his qi for a moment there. It was after quite a while that he managed to stabilise his increased strength. He gradually reeled in his qi and walked out from the stone house. As he had cleared his first primary meridian, it meant he had reached the first layer of Condensed Fighter Blood stage. Although his strength didn’t increase by a lot, he had a feeling of having abundant blood and qi. The fighter blood in his body seemed to have a fountainhead. It had become more powerful, be it in the aspect of speed or burst strength. At this moment, a vigorous sound resounded from the courtyard. 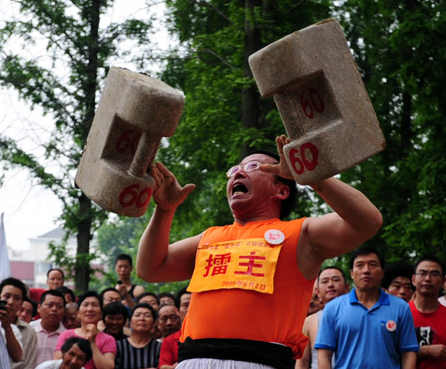 Right in front of his eyes, Nie Zhan was lifting a eight thousand pounds millstone above his head! Lin Hao was dumbstruck. Wasn’t it said that Nie Zhan’s cultivation had stopped at the fifth layer of Condensed Fighter Blood stage? Small suggestion… could you add some TL notes for a couple things? I think it would be helpful to Western readers.